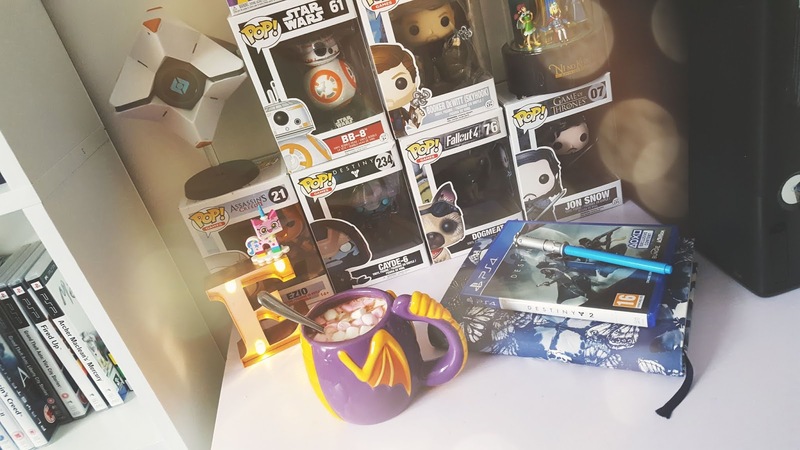 I have been given this product as part of a product review through the Chronic illness Bloggers network, this is a sponsored post. 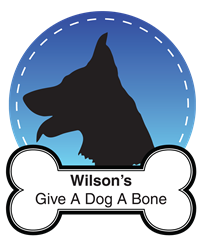 Although the product was a gift, all opinions in this review remain my own and I was in no way influenced by the company. 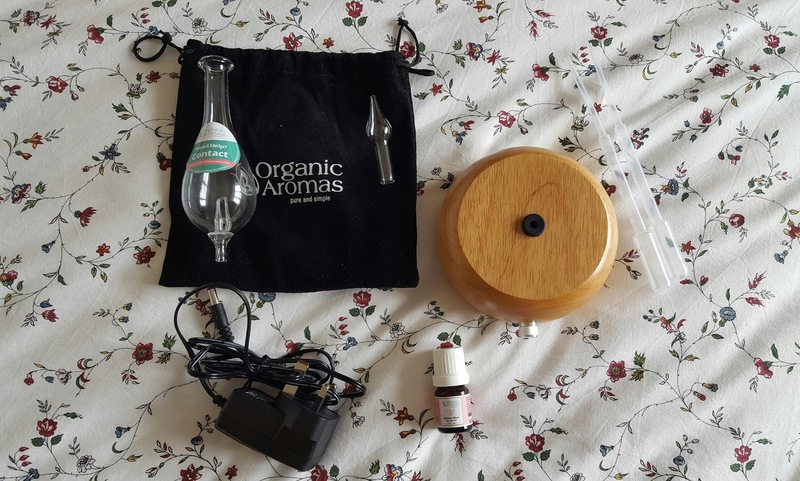 Now we have that out of the way let's crack on with this awesome post, there are a number of different diffusers on the *Organic Aromas website and I was sent the Magnificent essential oil diffuser which is the perfect size and has a cute design, it retails at $95 which is around £65. It took just over a week for my diffuser to arrive the company gave me a tracking number and just as I was checking where it was the other day It arrived. When I opened the box it was packaged very nicely and nothing was broken inside, which I was shocked about as the post here doesn't handle things very carefully. The diffuser was pretty easy to put together and came with step by step instructions both in the box and on the side of the box, so if I lost the paper instructions I could always look on the side of the box. The base of the diffuser came inside a soft drawstring bag, I have the light wood base which I prefer to the dark wood, the wood is redefined and the base is hand-crafted. When assembled the diffuser measures at around 25cm tall and 15cm wide. What I like most about the diffuser is it features an LED mood light which changed to the colours of the rainbow. So how does this work exactly? 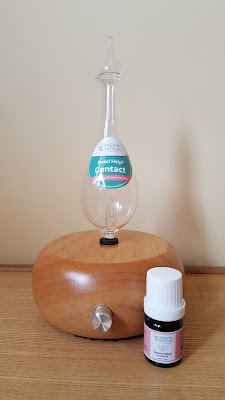 On the opening of the main tube I poured some essential oil into it and then placed the second tube inside the opening, I turned the nozzle on the front of the base to the centre, the diffuser will then will nebulize essential oils and diffuse them into the air, it does this by pressurising the oil inside the diffuser into a mist of fine micro-droplets which are then distributed around the room, creating a relaxing and calm environment around you. It doesn't use heat nor water, just pure essential oils but will only work when plugged into a power working on any electrical outlet (110 or 220v). 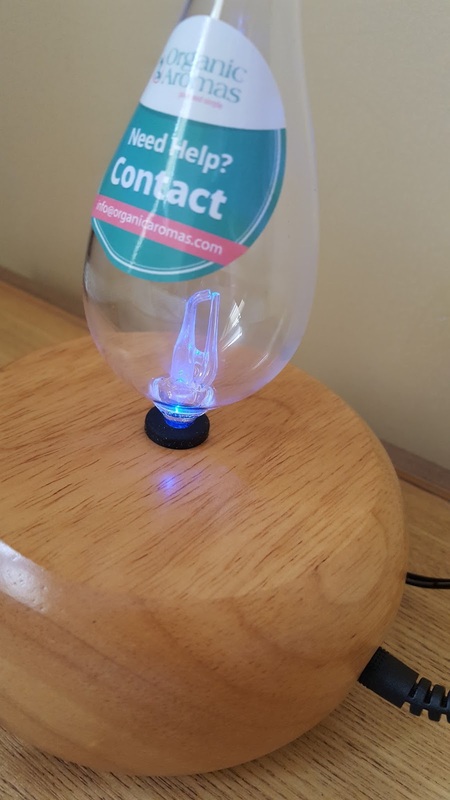 The diffuser shuts off automatically after 120 minutes, which is great if you forget to switch off, it has a usage cycle of two minutes on and one minute. The nozzle on the front of the base works like a volume control you turn it to control how much oil you wish to diffuse. The essential oil I used with my diffuser has a very nice soft smell and is very soothing, I like that it's not too overpowering which helped me relax as I hate smells like that, this oil was the Signature blend 10ml bottle ($20), I can defiantly see myself using my diffuser a lot. 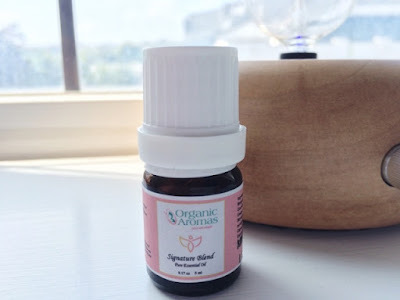 As someone who is a huge stress head and suffers from anxiety, I think this works well at helping me chill out and calm down, I would like to try the Serenity essential oil next as states that are can help with anxiety and insomnia which I suffer with at times.